See More Letters! Click Here! Green Mouse Guard is about excluding rodents from your home or business. Rodents will not be able to enter and exit daily anymore.We do this the GREEN way by not using chemicals & not poisoning the rodents. We Mouse-proof them out. This process "gets to the root of the problem" . Using chemicals only kills the rodent but doesn't solve your Problem. Therefore, "Mouse-Proofing" solves the problem, without using all the harmful chemicals or poisons. EXCLUSION is the #1 way to keep rodents out of your home or business! Prices are cheaper than pest management! See our letters of recommendation! 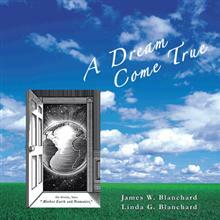 Check out "A Dream Come True"
Mice are born everyday in litters of 7-9 worldwide! An Exclusion will keep them out so you don't need poison! Read our article from the JI!